INDUSTRY.co.id - South Korea - Idol group Seungri Big Bang became one of the successful actresses in South Korea in all fields as she currently is in the culinary business. 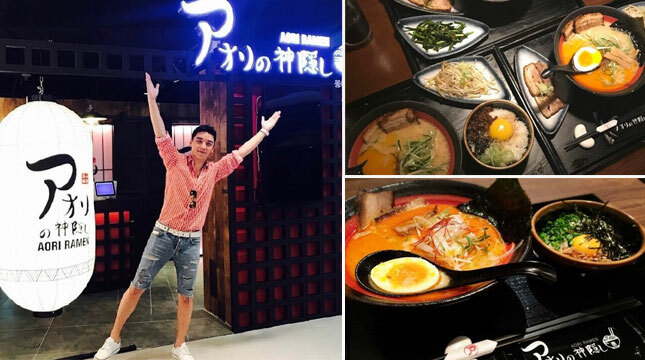 Seungri who has a restaurant that is Aori Ramen pretty successful. The reason, Aori Ramen has several branches, namely in Busan, Malaysia and Japan. Seungri is not only famous in Korea but also well-known internationally. He also has a strategy to introduce Korean cuisine to his friends. Quoted from soompi, Friday (30/3/2018) Seungri who guest starred on the show TvN 'Wednesday Food Talk' He also revealed how he introduced Korean cuisine to his international friends. "I'm proud to be a Korean man, and if someone says that Korea is not funny, my eyes are fiery right away, I'm going to ask, 'Who said that?' and told him to come looking for me, "he said. Then, Seungri talks about his specific strategy. "First, I'll show you the upscale side of Korea, I bought them elegant and expensive Korean food, after which I bought them local food," he concluded. In addition, Seungri also shares some tips on eating certain foods in the most delicious way. In an episode about octopus, he explains that the most delicious way to eat octopus is to bake it and eat it with soy and garlic paste. Want to Try the Sensation When You Eat Under the Stars and Galaxies? Do not Have Any Money? This Restaurant Give You Food For Free!